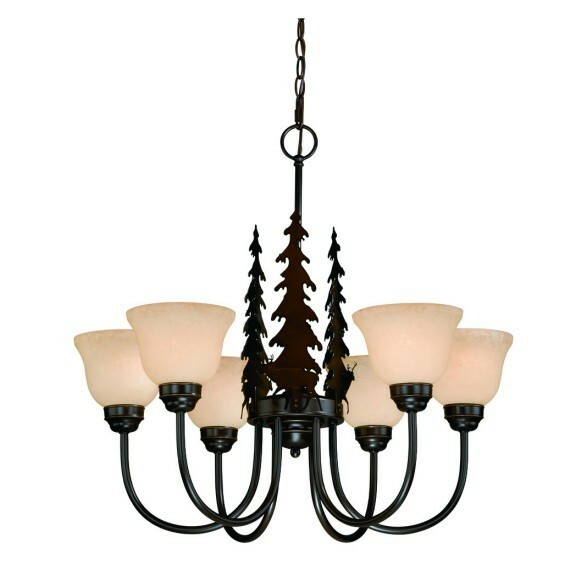 Bryce Whitetail Deer 6 Light Chandelier. This popular scenic wildlife chandelier features whitetail deer and pine tree silhouettes in a burnished bronze finish with six amber flake glass globes. 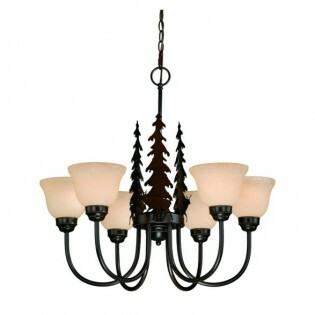 This rustic whitetail deer chandelier invites the wildlife from the great outdoors into your rustic cabin home.